Here are some books I’ve enjoyed more than others in the last 14 months or so. I’ve included some notable quotes but not all are equally representative of the book contents. “How Google Works” by Eric Schmidt, despite being quite self-congratulatory and maybe even prone to confirmation bias, is full of inspirational ideas and bids of practical wisdom to learn from. I took a few (ok, quite a few) notes on smart creatives, decision making, hiring, innovation, strategy, career, management and even managing email. “And who, exactly, is this smart creative? A smart creative has deep technical knowledge in how to use the tools of her trade and plenty of hands-on experience. In our industry, that means she is most likely a computer scientist, or at least understands the tenets and structure of the systems behind the magic you see on your screens every day. But in other industries she may be a doctor, designer, scientist, filmmaker, engineer, chef, or mathematician. She is an expert in doing. She doesn’t just design concepts, she builds prototypes. She is analytically smart. She is comfortable with data and can use it to make decisions. She also understands its fallacies and is wary of endless analysis. Let data decide, she believes, but don’t let it take over. She is business smart. She sees a direct line from technical expertise to product excellence to business success, and understands the value of all three. She is competitive smart. Her stock-in-trade starts with innovation, but it also includes a lot of work. She is driven to be great, and that doesn’t happen 9-to-5. She is user smart. No matter the industry, she understands her “get it right the next time around. She is self-directed creative. She doesn’t wait to be told what to do and sometimes ignores direction if she doesn’t agree with it. She takes action based on her own initiative, which is considerable. She is open creative. She freely collaborates, and judges ideas and analyses on their merits and not their provenance. If she were into needlepoint, she would sew a pillow that said, “If I give you a penny, then you’re a penny richer and I’m a penny poorer, but if I give you an idea, then you will have a new idea but I’ll have it too.” Then she would figure out a way to make the pillow fly around the room and shoot lasers. “Bet on technical insights, not market research. Product leaders create product plans, but those product plans often (usually!) lack the most important component: What is the technical insight upon which those new features, products, or platforms will be built? A technical insight is a new way of applying technology or design that either drives down the cost or increases the functions and usability of the product by a significant factor. The result is something that is better than the competition in a fundamental way. The improvement is often obvious; it doesn’t take a lot of marketing for customers to figure out that this product is different from everything else. There was a mention in the “The Hard Thing About Hard Things” of “Good Product Manager – Bad Product Manager” document written by Ben Horowitz himself during his tenure as Opsware CEO. So I’ve decided to look it up. In my experience as a brand manager in consumer goods companies, characteristics and behaviors that make a good PM in tech are very consistent with those that make a good brand manager in CPG or even a general manager in general. Each new invention requires the viability of previous inventions to keep going. There is no communication between machines without extruded copper nerves of electricity. There is no electricity without mining veins of coal or uranium, or damming rivers, or even mining precious metals to make solar panels. The classic double-blind experiment, for instance, in which neither the subject nor the tester is aware of what treatment is being given, was not invented until the 1950s. The placebo was not used in practice until the 1930s. It is hard to imagine science today without these methods. The cybernetician Heinz von Foerster called this approach the Ethical Imperative, and he put it this way: “Always act to increase the number of choices.” The way we can use technologies to increase choices for others is by encouraging science, innovation, education, literacies, and pluralism. In my own experience this principle has never failed: In any game, increase your options. As Suketu Mehta, author of Maximum City (about Mumbai), says, “Why would anyone leave a brick house in the village with its two mango trees and its view of small hills in the East to come here?” Then he answers: “So that someday the eldest son can buy two rooms in Mira Road, at the northern edges of the city. And the younger one can move beyond that, to New Jersey. Discomfort is an investment. Who would have guessed anyone would burn candles when lightbulbs are so cheap? But burning candles is now a mark of luxuriant uselessness. Some of our hardest-working technology today will achieve beautiful uselessness in the future. Perhaps a hundred years from now people will carry around “phones” simply because they like to carry things, even though they may be connected to the net by something they wear. I could not find enough time to post here recently. I certainly have been doing more reading than writing. So, I thought why not to share some of things I read? And I decided to tell you about Quora. 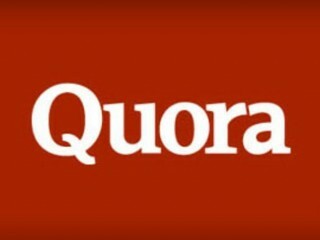 As you most probably already know, Quora is a questions-answers website which succeeded in doing what Google and multiple other companies failed at: provide a decent quality of responses. Several months ago they even created their own book “Best of Quora 2010-2012“, compiled of best answers, available for free download. It covers quite a range of topics. From Steve Jobs to moldy cheese, from neurological basis of curiosity to Jay-Z. I hope to find time and selectively read the most intriguing ones. Productivity: How do the most successful people spend the first hour of their day? What is the best way to break out of a bad mood? What are some jobs with high job satisfaction? What are the most hilarious pie charts? Which are some of the most badass photos ever taken? Gaming the System: What are the best examples of people “cheating the system”? What are the most inspiring poems ever? What are some of the most mind-blowing facts? Innovation: What are the best new products that people don’t know about? What’s the single most valuable lesson you’ve learned in your professional life? Is Getting Rich Worth It? What would a modern-day evil genius have to do in order to take over the world? How can you maximize your happiness in life? Add me if you are there. 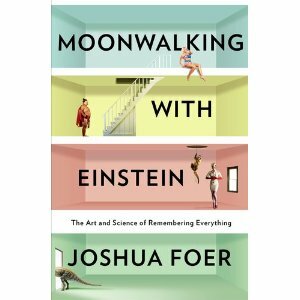 I’ve just finished listening to an interesting audiobook about memory and mnemonic techniques: Moonwalking with Einstein by Joshua Foer. Author is a young journalist who decided to try all the memory improvement techniques himself but remain sceptical and objective while doing so. He talks about memory itself and the way it was influenced by spread of written language and by technology. Than, he tells us stories about people with extraordinarily good memory and amnesiacs, about people who had an ordinary memory but became memory champion and about mnemonic techniques they used. Joshua begins his quest with a totaly ordinary, if not mediocre, memory. Bus after long preparation and work with best so-called “mental athletes” wins one of US memory champtionships. Although he himself acknoledges the fact that most of techniques he learned are useless in day-to-day life, I actually extracted a lot of intersting and useful ideas from the book. And this is what I would like to share with you. Memory becomes highly underestimated nowadays because of all the various ways to store information “externally”. But in fact, the better we remember our life, the more connections we can make. Memory is also necessary to understand and appreciate many things in life. For example, a person who never read or heard anything about China would not get as much culturally from the trip there as somebody who studied history and architecture of this country for a couple of months. One of the people Joshua interviewed for the book tried to increase “subjective” (perceived) life expectancy by improving his memory. The idea is that the more events you remember the longer life seems to be. Best chess-players don’t really evaluate all the possible moves logically. Instead, they recognize familiar patterns from other games. Cab drivers in London pass obligatory and very demanding exam called “The Knowledge”. It has been found that those who passed it after months of preparation have larger brain region that is responsible for orientation in space. Interestinlgy, brains of “memory champions” are actually quite typical. Odyssey and Iliad were initially created the way that made it easier to remember it and paraphrase verbally instead of writing down. We can remember almost unlimited number of pictures. At least the fact whether we’ve seen one or not. That is why many memory techniques revolve around transforming other types of information into visual images. Also, Joshua acquaints us with several interesting, although ambigous personalities, such as Daniel Tammet, Ed Cooke, Tony Buzan and others. Some savants naturally use synesthesia (mixing visual, audiotory and other types of perceptions) to enchance remembering and learning through associations. “Chunking” is a technique of breaking information into smaller pieces. For example, it is easier to remember a phone number when it is presented as 12-34-56 than when it is presented as 123456. Major system. To use this technique, one should use the same consonants for certain numbers. Then, to remember a number, one uses these consonants to form words, which are supposedly easier to remember, by inserting vowels. Memory palace. Images are placed in a certain space (appartment, city route or real imagined palace). The more absurd, shiny, sexual and animate the images the better. Speech preparation. Try to remember key topics to cover in your speech by visualizing them. Remembering texts. Try to feel empathy with an author, to resonate emotionally with a text. Deliberate practice: here Joshua gives just another interpretation of the same old study, which almost everybody mentioned recently. The basic conclusion is that people who are best at something did not necessarily spent more time practicing it. But they practised differently. In essense, deliberate practise is an effort to consciously improve one’s level of mastery instead of stopping at the minimum acceptable level (“ok zone”). For example, one might try to type faster than he or she would normally do in order to progress. Deliberate practice also comprises of constant adjustment to feedback and focusing on the most difficult aspects. For example, top violinists practiced most difficult pieces instead of just playing what they already know. Top chess-players re-played best chess games in their heads trying to understand the reasons behind each move. Similarly, Benjamin Franklin learned to write essays by first attempting to cover a certain topic by himself and then comparing the texts to those of best writers. Person – action – object system. According to this mnemonic system, one should come up with a person, action and object for each of 100 digits: from 00 to 99. Then, these “PAOs” are used to form sentences in order to remember long lists of numbers. Remembering names. Try to come up with a meaningful association. For example, nobody of people studied could remember name “Baker” (no associations) but majority remembered profession “baker” (a lot of associations). The reason why people sometimes get an impression that times flies faster might be related to the fact that our life becomes more boring and we get fewer new experiences. In other words, we have less interesting things to remember. So, make your life more memorable! Practical advice to remember things in day-to-day life: pay attention. For example, focus on remembering that name instead of just waiting for your time to introduce yourself. However, it is less clear how to apply it all to learning things that might actually be useful, such as grammar rules, math formulas or just life experiences. Any ideas? Overall, there are not so many practically applicable things in the book but it is still very interesting to read. You might also like my other post: “2 books about brain: What best neuroscientists can teach us about memory, creativity, society, productivity, work & leadership“.